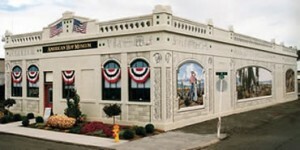 There are several great museums for you to visit here in Yakima! From hops to art, our museums cover everything you need to know about the history of our great valley. Our valley is one of the biggest hop producers in the world. Because of our unique place in the hop heritage of America, this museum feels it is vital to preserve, protect & display the historical equipment, photos, and artifacts that have long been important in the raising and harvesting of this obscure perennial vine that is vital to the brewing industry. Presenting, Preserving, and Promoting the art of our valley. 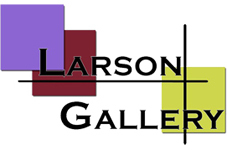 Located on the Yakima Valley Community College, this art gallery highlights the beautiful art of the valley. In 1989 a group of rail fans approached the city and the railroad about leasing the depot as a railroad museum. The Yakima Valley Rail and Steam Museum Association (YVR&S) was formed to accomplish this goal. With the city’s help the depot was leased in 1990. The Fort Simcoe Job Corp was able to refurbish the damaged plaster ceilings. Many hours of volunteer work resulted in the replacement of the electrical systems, stripping of the paint from the oak trim, and the beginnings of the museum displays. The museum had its grand opening on July 4, 1992. In 1993 the depot and adjacent freight house were purchased from the Burlington Northern Railroad. In 2000 the museum division was renamed the Northern Pacific Railway Museum.